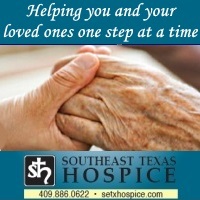 Jewel Juanita Magnuson, 88, of Pipecreek, Texas, formerly of Orange, Texas, passed away peacefully in her sleep at home in the loving presence of family, in the early morning hours of Friday, April 12, 2019. 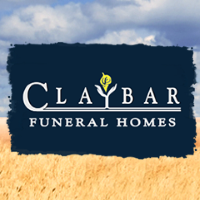 Visitation will be held from 9:30 a.m. to 11:00 a.m. Wednesday April 17, 2019 at Claybar Funeral Home in Orange, Texas. Funeral services will follow at 11:00 a.m. Officiating will be Pastor Randy Branch of Wesley United Methodist. Burial will follow at Forest Lawn Cemetery in West Orange, Texas. Serving as pallbearers will be Jewel’s eight grandsons. She was born Jewel Juanita Weishman on March 27, 1931 in Tillar, Arkansas. Her parents were John and Lucille Bishop Weishman. When Jewel was three years old, she and her sister Edith were placed in an orphanage due to the illness of their father. Jewel was taken from the orphanage when she was six by a very kind lady named Lottie Lee Anderson, who treated Jewel as her own daughter. The Anderson’s eventually adopted Jewel. The sisters were reunited in their early teen years when Edith also came to live with the Anderson family. Jewel remained close with her adopted family and was later reunited with her father. Jewel graduated from England High School in England, Arkansas and studied Cosmetology before traveling to Orange, Texas and meeting the love of her life, Rudolph Carl (Rudy) Magnuson, Jr. They were married on January 17, 1950. Jewel was the mother of six children. She became manager of the West Orange High School Cafeteria when her children were all of school age and worked there until retirement. Her name was Jewel, and she was a very special sparkling jewel in our lives. She was a wonderful person with a sweet nature who selflessly gave of herself and was completely devoted to her family. Jewel is preceded in death by her husband of 48 years, Rudy Magnuson, as well as her first-born child, Judith (Judy) Arlene Magnuson, who passed away at six weeks old, and by her sister Edith Weishman Varnell, her brother John Weishman, Jr., her half-brother CT Franks and her adopted brother Vernon Anderson. Those left to cherish her memory are her children and their spouses, Rudolph (Rocky) Magnuson, III & wife Deannie of Orange, Texas; Mike Magnuson & wife Eva of Orange, Texas; Tim Magnuson & wife Brenda of Austin, Texas; Karen Magnuson Lucia & husband Lawrence of Bandera, Texas; and Mark Magnuson & wife Jean of Bridge City, Texas. Jewel held a special place in her heart for all of the grandchildren, Rudolph (Rocky) Magnuson, IV, Christopher Magnuson & wife Kim, Scott Magnuson & wife Alayna, Jim Magnuson & wife Theresa, Mark Magnuson & wife Kim, Ryan O’Brien & wife Heather, April Johnson & husband Cole, Josh Magnuson & Amber Cook, Gabrielle Thompson & husband Tommy, Lauren Poutra & husband Blake, Zachary Magnuson, Chelsea Meeks & husband Scott, Ciara Honeycutt & husband William, Hannah Pierson & husband Curtis, Chey Jackson, and Autumn Magnuson. Jewel’s great grandchildren are Rudi Johnson, Nikolas Johnson, Lucas Johnson, Brayden Campbell, Kase O’Brien, Micah Magnuson, Brinley Magnuson, Lucian Magnuson, Kael Magnuson, Ella Magnuson, Abby Magnuson, Mark Magnuson, Lucas Magnuson, Maddie Magnuson, Macie Magnuson, Riley Thompson, Ella Thompson, Harper Thompson, Madding Poutra, Murphy Poutra, Mara Poutra, Jack Meeks, William Pierson, Vivian Pierson, Peyton Honeycutt, Lilly Jackson. The entire family would like to acknowledge the incredible level of love, support and daily care that Jewel’s daughter, Karen, provided to her over the last 15 years, especially as Jewel’s health began to rapidly decline over the last two years. Jewel’s final years were immeasurably better because of Karen. The family would also like to thank the nurses from Opus Hospice Care, Grimes Funeral Home in Bandera and Claybar Funeral Home in Orange, Texas.